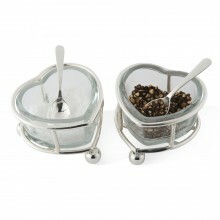 Heart shaped salt and pepper sets are a delightful way to serve your seasoning at the table. Each pot comes with a removable glass heart ensuring easy cleaning after use and a miniature spoon perfect for serving rock salt and pepper corns and other condiments. 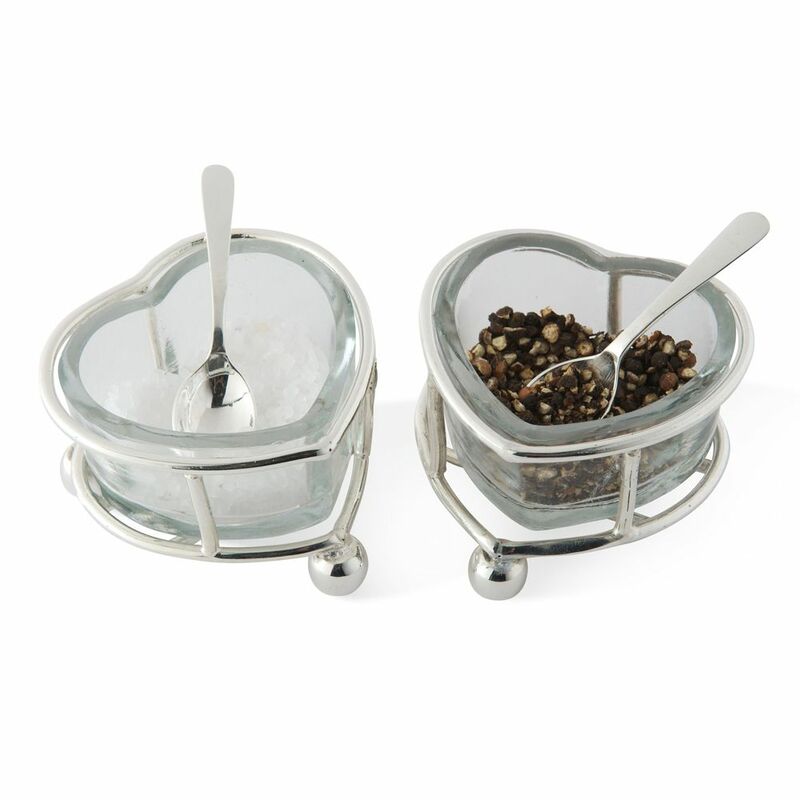 Click the button below to add the Heart Salt & Pepper Set with Two Spoons to your wish list.